1. 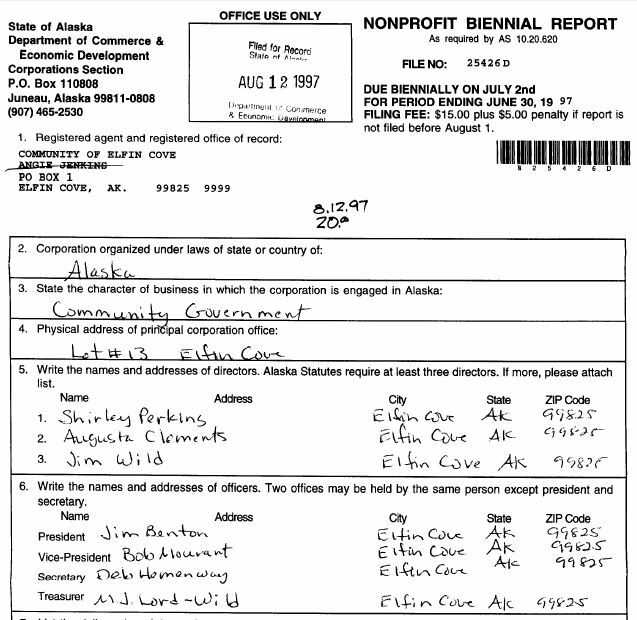 8/20/1993- James Benton becomes a registered voter in Alaska. 2. 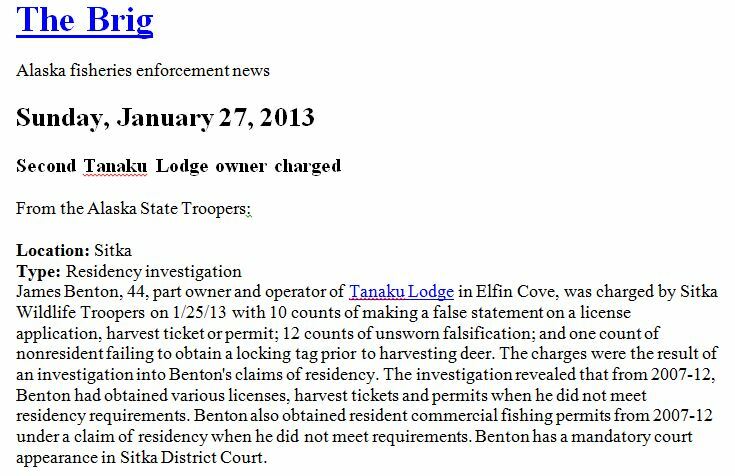 6/13/2005- Deed to Lot 62 or Tanaku Lodge. 3. 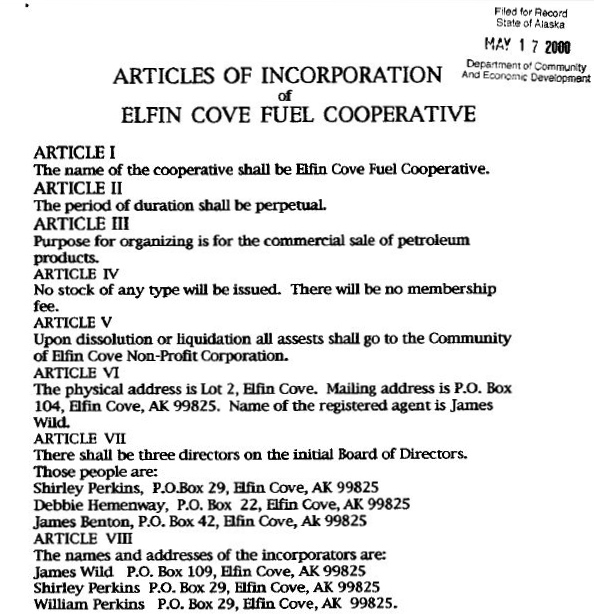 8/12/1997- 1997 Biennial Report for the Community of Elfin Cove. Jim Benton is named as President (Chairman). 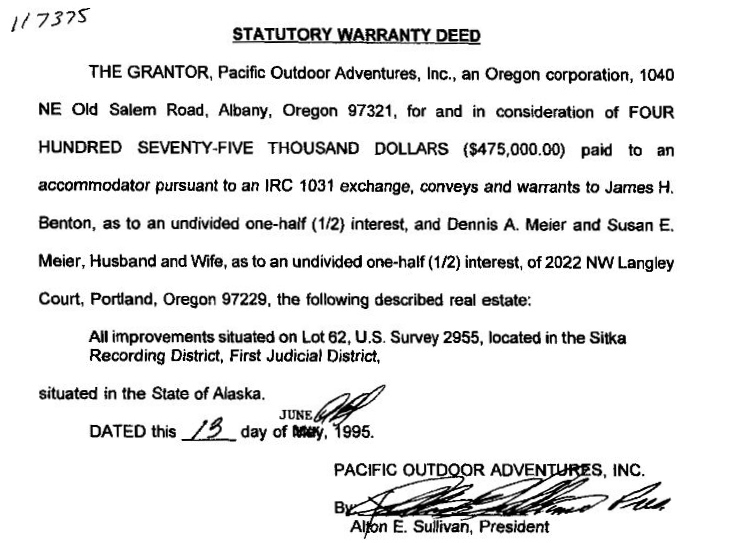 4/25/2003- James and Christine buy their first house in Bend, Oregon. 6. 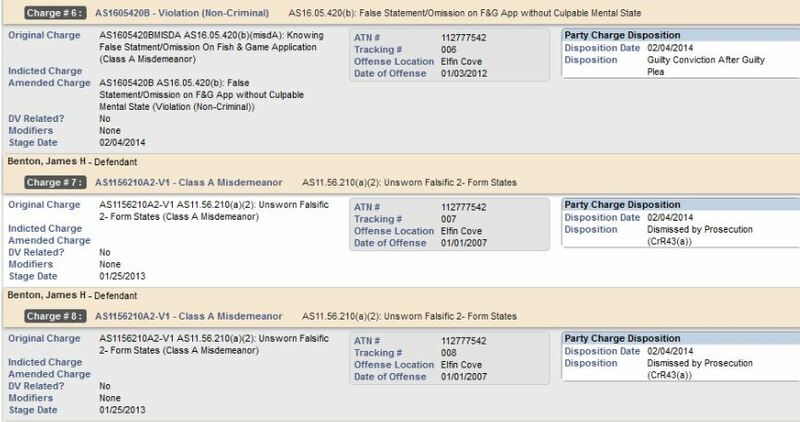 2013- Benton charged with many counts of residency violations and pleads guilty to six counts. 7. 2014-2015 J. Benton bought nonresident licenses from CFEC. 8. The Benton Family lives at 65345 Gerking Market Rd., Bend, Oregon bought in 2007.